Messages are one of the most important methods of communicating with our loved ones. They are so dear to us that some keep threads to remind us about the memorable conversations we have had with our loved ones. Accidental or otherwise, it is not uncommon for the average iPhone user to delete their text messages. This is reason enough to find out the different methods of accessing deleted messages on the iPhone. Want to know how to see deleted messages on iPhone XS/XS Max/XR/X/8/8 Plus/7/7 Plus/6S/6/SE/5s/5? Look no further than this article: we detail all solutions. Want to know how to how to look at deleted messages on iPhone? Start off by using Spotlight Search, a great feature on iPhone that allows users to search their iPhone and beyond that, search the App Store, Web, Maps and other apps. 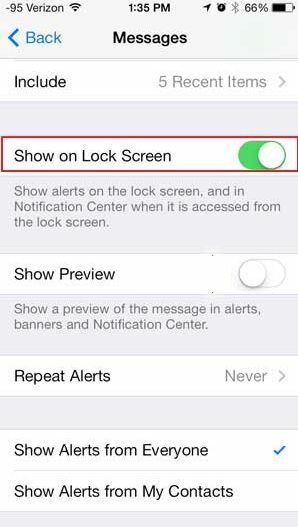 To use Spotlight Search to search for existing and deleted messages on iPhone, follow the procedure below. Step 1: Launch Spotlight search by swiping left on the home or lock screen. Step 2: Tap the search bar located at the top of the interface. Step 3: Type in the context or relevant details of the deleted messages. Step 4: The results are displayed according to the apps. Select the appropriate message by tapping. Can you see deleted messages on iPhone even when you don't have an iCloud or iTunes backup? Tenorshare UltData allows you to do so by using a feature that allows you to recover data from an iOS device. This feature comes in handy when your messages have been deleted but your iPhone hasn't been overwritten, when you've lost data when updating to a different iOS version, lost data after an unsuccessful jailbreak, when you want to transfer data from iPhone to computer, and when your iPhone screen is broken by can still be detected by the computer. Follow the procedure below. 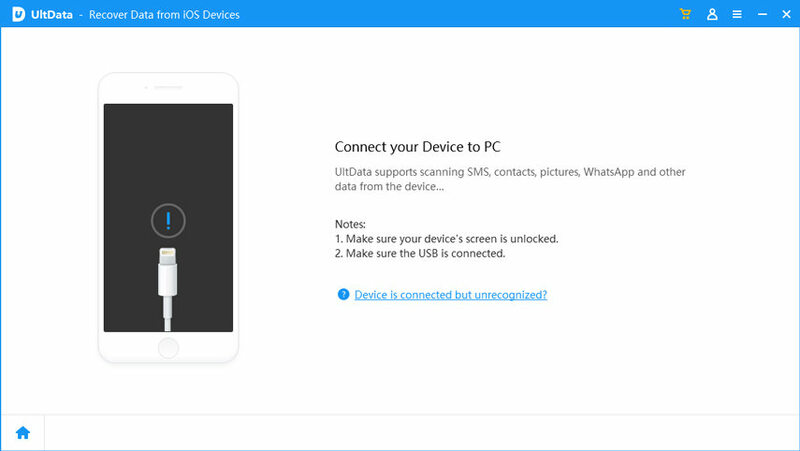 Step 2: Connect your iPhone to your computer using your USB cable then select Recover from iOS device. Click Start Scan. Step 3: Preview and select the messages you would like to restore. Using Tenorshare UltData users can easily distinguish between existing and deleted messages: existing messages are highlighted in red. 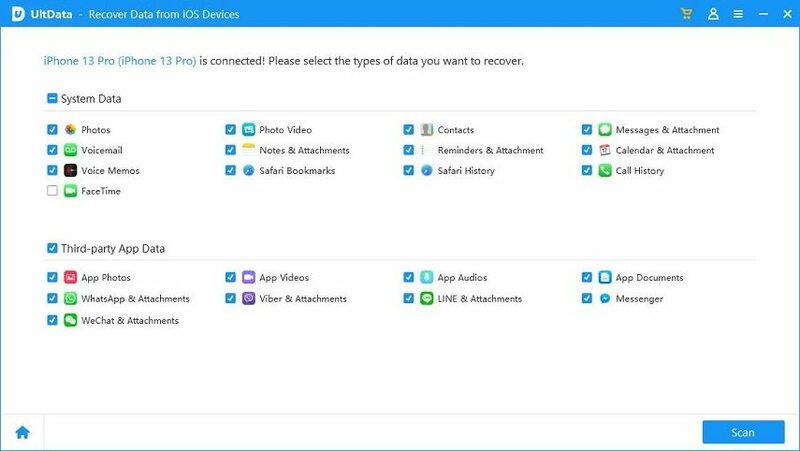 Step 4: Click Recover and select Recover to Device or Recover to Computer. iTunes backup is a kind of SQLITEDB file. It does not allow users to access or preview data but using Tenorshare UltData, you scan your iTunes backup and view your deleted iPhone messages. Step 1: Launch Tenorshare UltData and click Recover files from iTunes Backup. UltData will automatically detect and display all the iTunes backups on your computer. Using device name, serial number or backup date select your backup of choice and click Start Scan. Step 3: After successful scan, all the messages and other types of data will be displayed. Click Messages, then click Show Only Deleted to display the deleted messages. Step 4: Select the texts you want to recover then click Save. Using Tenorshare UltData, users can download messages from an iCloud backup without restoring their iPhone. Step 1: Launch UltData, select Recover from iCloud backup files and log in using either your Apple ID account or Software Access that logs you in automatically. To use Software Access, click the Login Shortcut option. Step 2: Select an iCloud backup file by using name, date, version or size. Want to know how to see deleted text messages on iPhone? Take advantage of Spotlight Search. However, we highly recommend Tenorshare UltData since it is easy to use and allows users to restore messages directly to their iPhone with or without iTunes and iCloud Backup files.